One of the questions most frequently asked of estate planning attorneys near The Woodlands is how a person can minimize estate taxes for the benefit of the heirs. 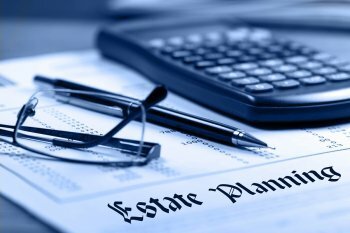 Estate taxes are primarily a concern for individuals who plan to leave sizable legacies to their beneficiaries, but everyone can benefit from consulting an estate planning attorney to discuss how state and federal estate taxes might affect their loved ones. Skillful estate planning attorneys can recommend smart strategies that minimize estate tax ( E.g ., a living trust). Prior to 2005, Texas had a “pick up tax.” Although the pick up tax was a separate estate tax, it did not increase or decrease the total estate tax bill. Rather, the pick up tax allowed the Texas Comptroller’s Office to take a portion of the federal estate tax bill. On January 1, 2005, the pick up tax was phased out under the Economic Growth and Tax Relief Reconciliation Act (EGTRRA). This is a federal law that eliminated pick up taxes from all states, not just Texas. Some states later passed state laws to collect separate estate taxes. Texas repealed its inheritance tax , which means that state-level estate taxes are not collected if the property was transferred after the effective date of September 1, 2015. Estate taxes accrued prior to this date must still be paid. Federal estate tax laws are subject to change. An estate planning attorney can provide the most current information to clients who are concerned about minimizing inheritance taxes. Generally, individuals only need to worry about inheritance taxes if they plan to leave millions to their heirs. For 2016, the Internal Revenue Service (IRS) established estate and gift tax exemptions of $5.45 million per individual. This was an increase from 2015, during which the exemption was $5.43 million. This means that you could leave up to $5.45 million to a beneficiary without incurring inheritance taxes. Larger inheritances are subject to federal estate tax. The highest estate tax rate is 40%, but this is subject to change.